Fintech is all the rage now, major technology companies from the west (Google, Apple and Facebook) and the east (Line and QQ) are rolling out new services to transform our smart phones into a digital wallet. Before all the tech companies got into the action, Kenyans have been using millions in mobile money for daily transactions. Majority in this African nation do not have a bank account, but 8 in 10 people have access to mobile phones. To solve this problem, M-Pesa was born, providing financial inclusion to the unbanked. M-Pesa is a mobile phone-based money transfer, financing and microfinancing service launched in 2007 by Kenyan mobile operator, Safaricom. Users are able to deposit money into an account stored on their cell phones and send balances using SMS text messages (pin-secured) to purchase goods and services. The mobile money can also be used to redeem deposits for regular money and be transferred to other users. A small fee is charged for users to send and withdraw money. 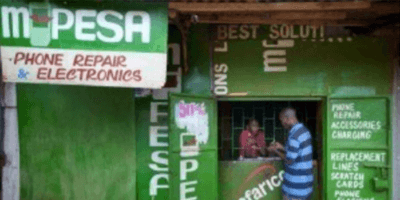 M-Pesa is a branchless banking service where customers can deposit and withdraw money from a network of agents that includes airtime resellers and retail outlets acting as agents. Since its initial launch in Kenya, M-Pesa has seen expansion to countries such as Tanzania, Afghanistan, South Africa and India. In December 2015, BBC ran a story on 60 minutes featuring the M-Pesa story, introducing M-Pesa to the world. Located in the Western Pacific Ocean, Philippines is a country with more than 7,000 islands. According to 2014 World Bank Statistics, only 30% of its 98.4 Million population has a bank account. This is a country where mobile money could potentially be able to help facilitate financial inclusion. Join Lesley-Ann Vaughan , Project Manager at M-Pesa as she shares the M-Pesa story and her experience on building a reliable mobile banking platform for developing markets during the 7th edition of the Asia IoT Business Platform which will take place this 23-24 May in Manila.